January 20, 2017 – David C. Gilbert, president of Interval International, attended a recent reception in St. Maarten to celebrate the completion of the Simpson Bay Resort & Marina’s multi-year renovation and the grand opening of La Patrona, the island’s newest gourmet restaurant. During the event, Gilbert presented The Honorable William Marlin, prime minister of St. Maarten, with a recognition award for his contributions to the timeshare industry throughout the Caribbean. 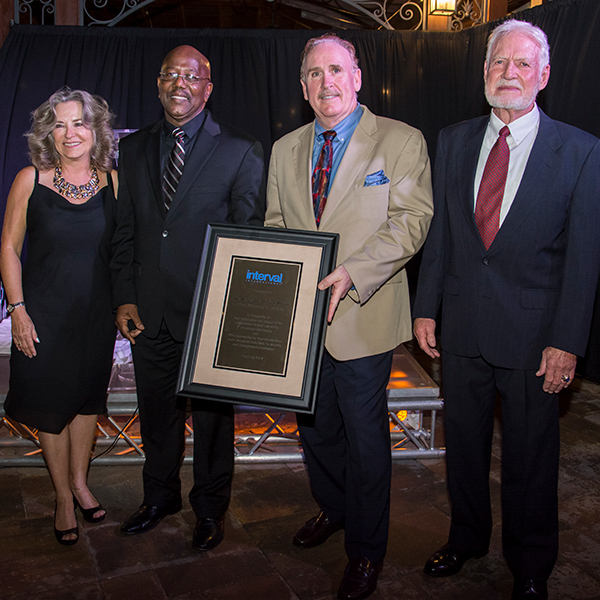 PHOTO CAPTION: Julie Sutton (far left) and Richard Sutton (far right), owners and operators of Simpson Bay Resort & Marina, a Royal Resorts Caribbean property, pictured with The Honorable William Marlin, prime minister of St. Maarten (second from left), and David C. Gilbert, president of Interval International (second from right).